The No. 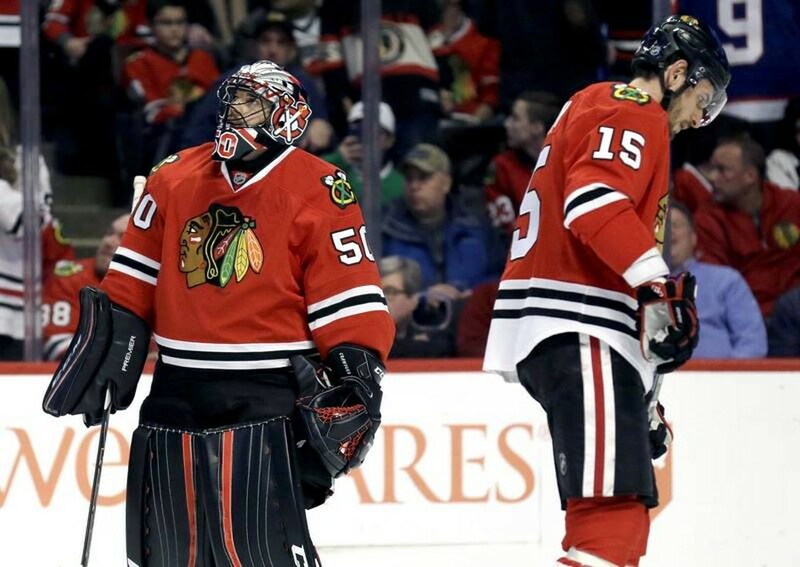 1 Chicago Blackhawks were eliminated in the first round of the Stanley Cup Playoffs, losing 4-1 to the No. 8 Nashville Predators. The road for the Blackhawks is uncertain from this point on. The first game of the series gave little indication of Chicago’s vulnerability. The team dominated the game, controlling the puck and the pace of play for almost the entirety of the last two periods. Unfortunately, the group ran into a hot goalie as the Preds’ Pekka Rinne was a wall, stopping all 29 shots that came his way. Nashville managed to squeak a goal by Corey Crawford in the first period thanks to a tap in from Viktor Arvidsson. They then sat back and held down the fort for the rest of the match. The Hawks had no major reason to worry after the first game as they were the better team, but the second game was a reality check for them. They were dominated by the Predators, falling in a blowout 5–0. The team was now headed to Nashville having dropped both games at home and having yet to score a goal in the series. “They're doing everything defensively to frustrate us and give us nothing,” said Chicago captain Jonathan Toews. The team had its back against the wall and needed to find answers. Game three proved to be a tense, back-and-forth affair, but the Hawks ended up falling 3–2 in overtime. Once again, Nashville dominated the flow of play and Chicago found itself wondering if they really were the better team, even though Nashville was merely the No. 8 seed. With their backs against the wall, it was do or die for the Blackhawks. In the end, the Hawks were out-possessed across the entire series. “We could have had the puck a lot more in a lot of situations,” said head coach Joel Quenneville. “I think that was contagious. We had to be better." Their offense also came to a sputtering halt, mustering just three goals over four games. As they spend the summer looking in the mirror, the Hawks will have to wonder if they should stick with the system that has brought them so much success over the past seven years, or whether the rest of the league has caught up to them and they need to adapt.